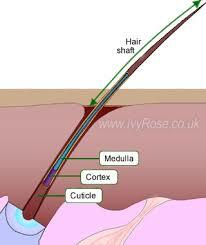 The hair shaft is essentially composed of the tough protein keratin. Another protein, melanin (light and dark melanin) gives color to the hair shaft. But usually as a person gets older, the melanocytes - cells at the base of the hair follicle - produce less and less melanin. Therefore the hair starts to look more and more gray, then white, as the person reaches 40, 50, and up. The slowdown in melanin production and the inclusion of this protein into the hair follicle has a genetic component. But it also has nongenetic components: diet, prolonged psychological stress, oxidative stress, environmental toxins, smoking, obesity, and of course age. Inadequate amounts of several nutrients have a negative effect on hair color. Copper, a trace mineral, helps in the conversion of the amino acid tyrosine into melanin. A rich source of this mineral is Brazil nuts. But three or four of these nuts each day is enough. Brazil nuts are also the richest natural source of selenium, a mineral that can become toxic if too much is ingested. So three or four are plenty. Certain nutrients interfere with the absorption of copper when taken in excess, that is in supplementary form - zinc, calcium, and iron. That's why I think it's much better to get nutrients from natural sources because getting too much of a good thing can cause more harm than good. Another mineral that is important in hair health is sulfur - the "beauty mineral." This mineral is a major component of keratin and perhaps of melanin. It keeps the hair looking strong. Eggs are the best natural source of this mineral. Many vegetarians and vegans have lifeless hair because of a deficiency of vitamin B12. Over time a deficiency of B12 may cause the premature graying of the hair. Red meat and milk products are good sources of this essential vitamin. Cigarette smoking can cause a graying of the hair at an early age. Study after study has found an association between the use of tobacco and gray hair. Prolonged psychological stress - the continual activation of the fight or flight response - might lead to DNA damage. This damage may have a negative influence on the genes that control hair pigmentation, that is, the production of melanin. Don't become President of the United States if you want to maintain good hair color. 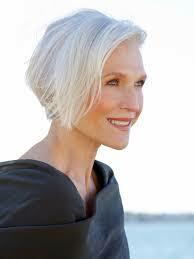 Thyroid disorders also have been associated with graying hair. This may be just wishful thinking but I take of sea kelp tablets every day for the 150 mcg of natural iodine. Perhaps this supplement, one of the few I take, keeps my thyroid glands healthy. Scientists these days probably are getting close to finding a solution for some types of premature gray hair. They have isolated the Wnt protein. This is a protein that might "guide" the melanin and other types of pigmenting material into where it belongs in the hair shaft. Soon we'll find Wnt in hair care products and in the supplements we get from Puritan's Pride, Swanson, and even Dr. Mercola. Of course we could be entering an age where gray (silver) hair or a shaved scalp is fashionable. Maybe the hair supplements that contain biotin, horsetail grass stem extract, PABA, trace minerals, and the like will do something to bring back the natural color to your hair. My opinion is that bottles of these pills will not do as much for the hair as the real foods that are natural sources of these nutrients. And of course with real foods it is highly unlikely that you will get an overdose of some nutrient. In food the nutrients are usually balanced and bioavailable. Here is my list of foods that I eat. By the way, I'm an old guy but my hair is still naturally dark except at the sideburns which are silver. Brewer's yeast powder - rich in B-complex and almost all trace minerals. Brazil nuts - copper, manganese, magnesium, selenium - but don't eat too many - stay with three or four a day. More than that and you might glow in the dark with selenium toxicity. Eggs - rich in sulfur the "beauty mineral" and many of the amino acids. Organ meats - all kinds of minerals (I eat beef liver at least once a month. Yogurt, plain and with live and active cultures - Even dead Bulgarians still have dark hair they tell me. Cod liver oil, the real stuff, not the capsules - I don't know if this helps keep the hair its natural color but I've been taking it since I was a bodybuilder at Muscle Beach. It won't kill you. Blackstrap molasses - really good for the hair but it tastes awful. I eat all these foods with the exception of blackstrap molasses. They all taste good and are all generally healthful foods. Don't forget to do the scalp exercise too. The combo of the SE and nutritious foods might postpone bad hair. Keeping the blood circulating with exercise might do something for the hair. 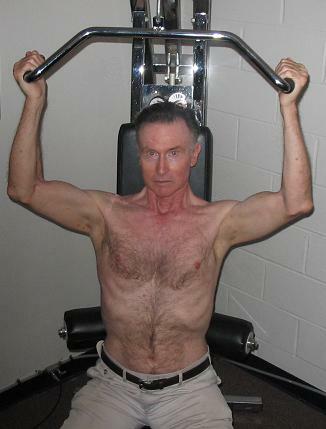 I've been exercising since I was 15. But I've noticed in recent years that many of the men who work out in the large gyms have major hair loss problems. It could be that some of those men with 18-inch arms are on anabolic steroids. These steroids do not promote great hair.